Thank God it’s Friday is a documentary about daily life in the Palestinian village Nabi Saleh and in it’s opposite Israeli settlement Halamish. Every Friday – for three years – the people from Nabi Saleh march through tear gas and rubber bullets towards the other side. The protests intensify, the tension rises week after week. During a protest on a Friday in December, Mustafa Tamimi, a young man from Nabi Saleh, gets shot to death. How do the people from Nabi Saleh and the Halamish settlement react? 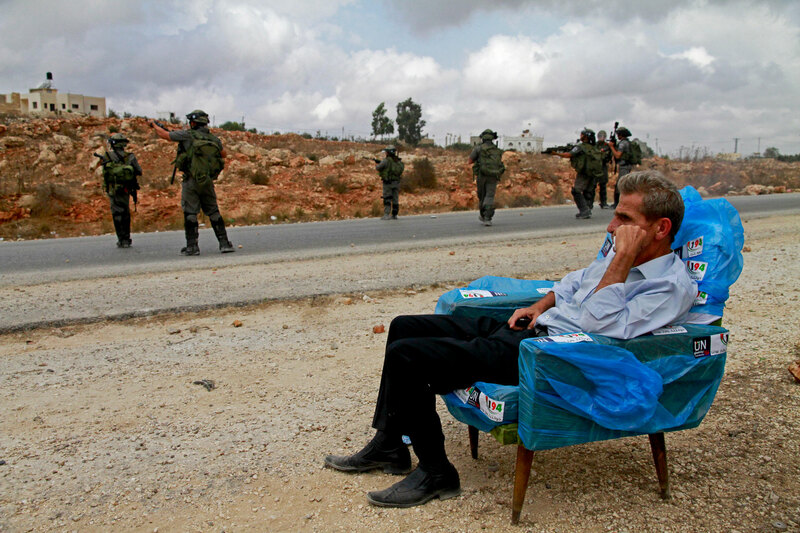 A year later, when Thank God It’s Friday was finished, the filmmakers returned to organise a screening of the documentary in Nabi Saleh and the Halamish Settlement. The reactions from both sides were recorded and are included in the documentary. Thank God It’s Friday was rewarded with the first price at the Human Rights Film Festival in Buenos Aires and sold to various television stations worldwide. The Thank God it’s Friday – Tour started in Argentine – Buenos Aires where TGIF won the first price and the price of the public at the Human Rights Film Festival. This was followed with over hundred screenings in South America, Europe, Israel, Palestine and Belgium. 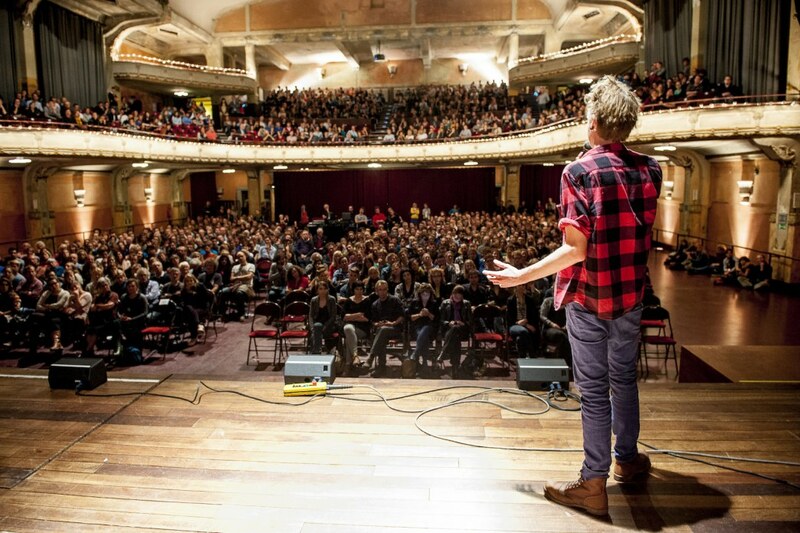 More then 1100 people attended the Belgian Premiere screening in Antwerp. Many of the screenings were accompanied by a musical performance of Brent Vanneste (Steak Nr 8), Johannes Verschaeve (The Van Jets) & Dries Bongaerts (The New Rising Sun). Thank God It’s Friday has been sold to DR Denmark, Press TV Iran, TVN24 Poland, HRT Croatia, Russia Today & Al Jazeera.